Nursultan Nazarbayev commented on China's strategy for Central Asia which was voiced by President of China Xi Jinping in Akorda. "Today, speaking at Nazarbayev University, the President of China has announced China's strategy toward Central Asia. This is a very important strategy for us as it will deepen our relations in the framework of the SCO and in bilateral terms. Security issues in the region, the fight against the "three evils" meaning terrorism, extremism and separatism are supported by our country and we will work on them together ", said the Head of Kazakhstan at a press briefing after talks with President of China Xi Jinping. Nursultan Nazarbayev also stressed that all the mentioned plans will be carried out within good neighborhood, fraternity, equality and non-interference in the internal affairs of the two states. Prime Minister Serik Akhmetov and Chinese President Xi Jinping discussed issues of bilateral cooperation, the official site of the Prime Minister informs. During the meeting the sides discussed a wide range of issues of the Kazakh-Chinese cooperation in trade, economic, cultural and humanitarian spheres. "Since twenty years Kazakhstan and China have been able to create an example of the international relations' dynamic and constructive cooperation that have developed in the spirit of good neighborliness and mutual understanding", Serik Akhmetov noted. The result of this dynamic interaction should be the bilateral trade volume increase up USD 40 billion in 2015 , given "the positive trend of growth," the Kazakh Prime Minister stressed. According to the Head of the Kazakh Government, regular meetings at the high level play an important role in maintaining the high dynamics of relationships. In turn, the Chinese President noted the importance of this fact, adding that a high level of trust between the leaders of the two states is laid into a basis of the strategic partnership, and this interaction is a good example for the world. In addition, Xi Jinping named the development of relations with Kazakhstan as one of the top priorities of Chinese foreign policy. "We intend to continue deepening of mutually beneficial cooperation with your country," the President of China said. 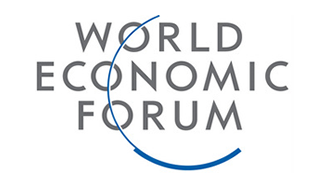 Kazakhstan's accession to the WTO was also discussed during the meeting. 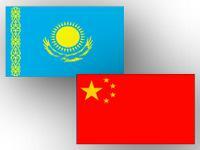 The Chinese President said that China, as always, will actively support the efforts of Kazakhstan to join the WTO. "We are ready to render any assistance, and strongly believe that membership in the WTO will give a further impetus to the socio-economic development of Kazakhstan", Xi Jinping announced. Besides, the implementation of specific projects in the oil and gas sector, energy, transit and transport sector and discussed the prospects of cooperation in priority sectors of the economy were considered at the meeting. In conclusion, the sides expressed the unanimous opinion of the broad prospects of bilateral cooperation and the high potential of the strategic partnership.